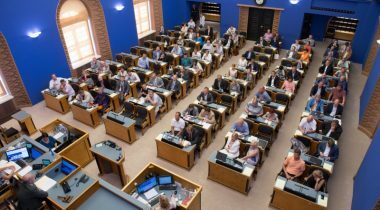 At Tuesday’s sitting, the Riigikogu approved with 87 votes in favour (1 abstention) the Act on Amendments to the Law Enforcement Act which simplifies the explaining of the drivers’ rights to them in breath test operations and will thereby ensure smoother traffic. The aim of the Act on Amendments to the Law Enforcement Act (267 SE), initiated by the Legal Affairs Committee, is to create a less burdening obligation to explain in the operations “Everyone takes a breath test!” which will hinder the freedom of movement of people less, reduce the burden of law enforcement officials and ensure smoother road traffic. Under the Act, when carrying out an operation “Everyone takes a breath test!” in order to establish intoxication by alcohol in drivers, a law enforcement agency always had to explain the rights of the driver to the full extent to every driver stopped, even when there was no suspicion of intoxication. Section 38 of the Law Enforcement Act was amended so that the rights of the driver are explained to him or her if he or she so requests. 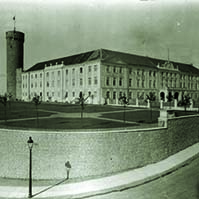 The initiation of the Act was motivated by the memorandum of the Chancellor of Justice Ülle Madise in which the she pointed out that the explaining of the rights to every person separately in breath test operations may cause delays and harm the effectiveness of the law enforcement operation. 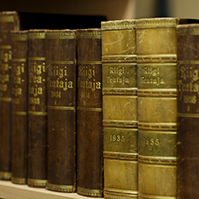 The Act enters into force on the tenth day following the date of publication in the Riigi Teataja. 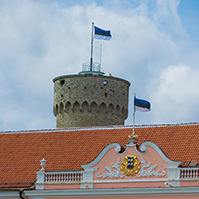 The Bill on Amendments to the President of the Republic Election Act (294 SE), initiated by the Estonian Free Party Faction, provides for the election of the President in the electoral college. According to the Bill, spoiled or unmarked ballot papers would no longer be taken into account when ascertaining the number of electors in a voting held for the election of the President in the electoral college. Under the current Act, a candidate for President is considered elected in the electoral college if more than half of the electors vote in favour of him or her, and all ballot papers deposited in the ballot box are taken into account when ascertaining the number of electors. In the opinion of Jüri Adams who presented the Bill, it is necessary to bring the President of the Republic Election Act into conformity with the spirit of the Constitution, and to put an end to the situation where the text of the Constitution is interpreted unacceptably broadly with an Act. Member of the Constitutional Committee Mart Nutt said that the Constitutional Committee had proposed to reject the Bill at the first reading because the Bill was in conflict with the Constitution. 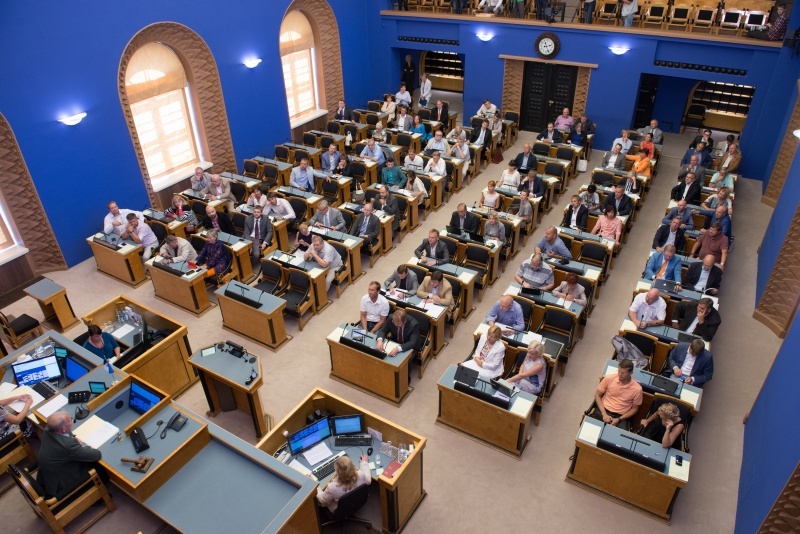 Martin Helme, who took the floor on behalf of the Conservative People’s Party Faction, said that the Estonian Conservative People’s Party Faction did not support the Bill because it solved a specific problem very narrowly and in the wrong direction. Igor Gräzin, who took the floor on behalf of the Reform Party Faction, said that the text of the Constitution is not for playing with. In the opinion of Andres Herkel, who took the floor on behalf of the Free Party Faction, the Bill should remain in the proceedings and should be discussed further. In the opinion of Peeter Ernits, who took the floor on behalf of the Centre Party faction, the election of a President should end in the electoral college. 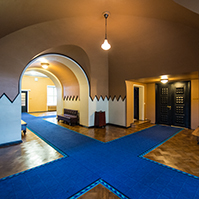 The result of voting: 26 members of the Riigikogu in favour, 32 against, and two abstentions. Thus the Bill remains in the proceedings. 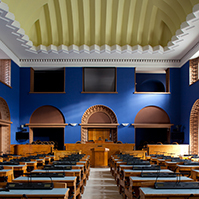 The Bill on Amendments to the Unemployment Insurance Acts (292 SE), initiated by the Social Affairs Committee, provides for the rights of employees and officials to apply for insurance benefit in the case of a lay-off if the employer has not submitted an application to the Estonian Unemployment Insurance Fund within the period provided for in the Unemployment Insurance Act. If the employer has not submitted an application for insurance benefit within five days after the end of the employment or service relationship, employees and officials will have the right to submit such application themselves, in order to receive unemployment insurance benefit. Under the current Act, only the employer can submit an application for insurance benefit. The Bill provides for the conditions and procedure for application for the insurance benefit of employees and officials upon lay-offs, and the list of the necessary data specified in an application. The term for the review of an application of an employee or official will also be amended. The initiation of the Bill was motivated by the Chancellor of Justice Ülle Madise, who asked to solve the situation where the current Unemployment Insurance Act sets unjustified obstacles to employees in receiving insurance benefit in the case of lay-offs. 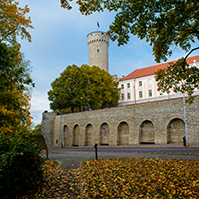 The content of the Bill on Amendments to § 14 of the Health Services Organisation Act (293 SE), initiated by members of the Riigikogu Mark Soosaar, Helmen Kütt, Jüri Jaanson and Andres Metsoja, is to extend the rights of family physicians providing general medical care, by allowing them to engage in primary diagnostics in specialised medical care and to use radiation equipment if they have the relevant qualifications. The aim of the Bill is to make general medical care more efficient and effective by reducing the burden of doctors providing specialised medical care, and to reduce the waiting lists of people waiting for consultations with medical specialists.